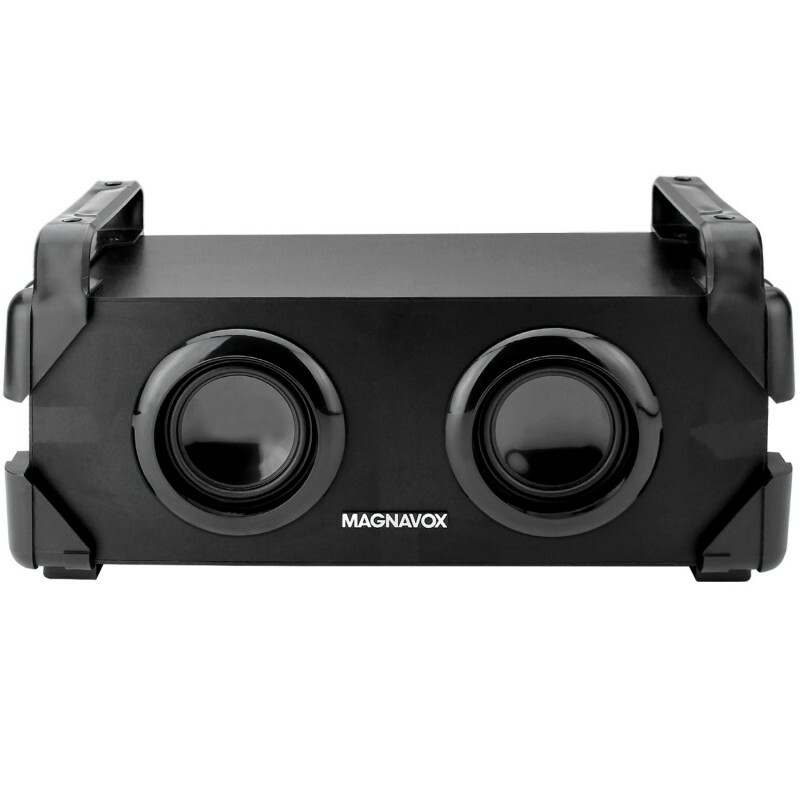 The Magnavox MMA3640 Speaker System with Handles is your classic sized boom box with the modern technology we have learned to enjoy today. This speaker has a built-in rechargeable battery along with Bluetooth to stream your music wirelessly, and a 3.5mm auxiliary port for simple connectivity to most audio devices. 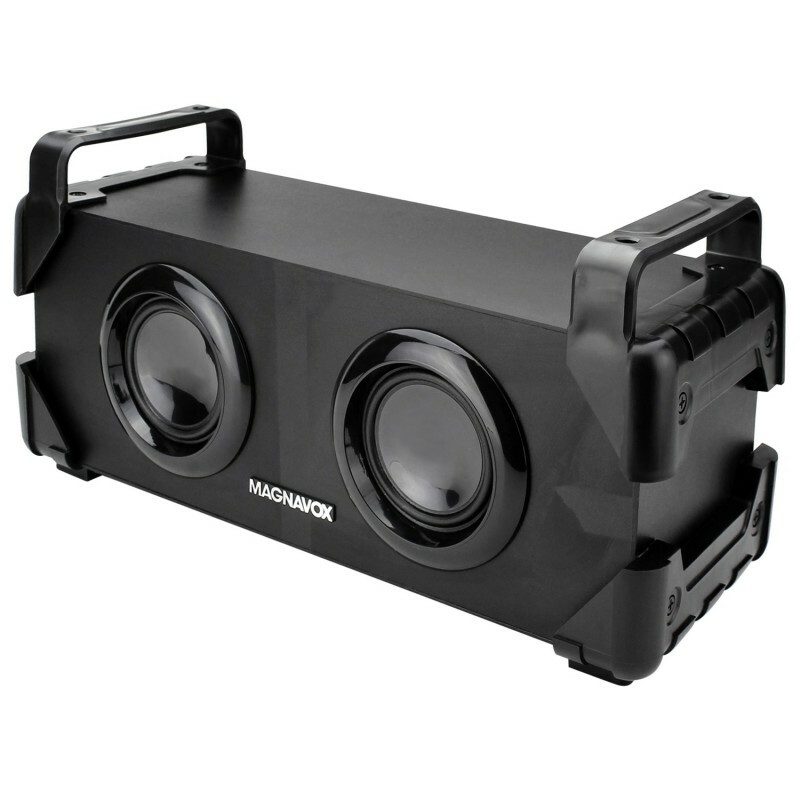 This Speaker System brings large handles for easy carrying and portable use. It offers a Bluetooth range of up to 32 feet away from the unit to easily stream music over from your phone and a 3.5mm auxiliary port that connects a large variety of audio players. A built-in battery makes recharging you unit simple through a standard USB charging port.